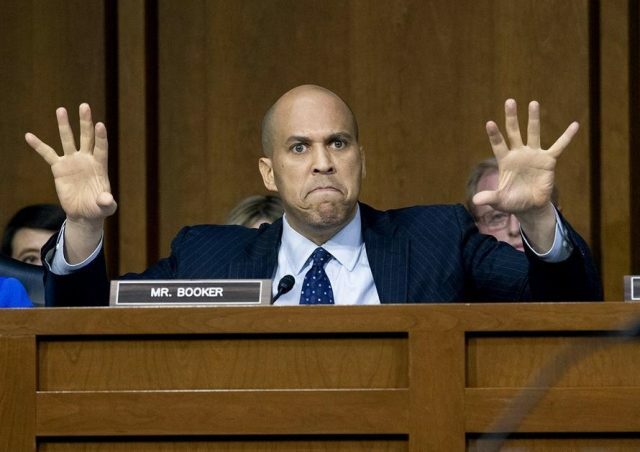 Senator Cory Booker (D-NJ) on Thursday said that he would release “committee confidential” documents related to Supreme Court nominee Brett Kavanaugh, in a move he admits would be “knowingly violating the rules” and may result in his ouster from the Senate. While Democrats are technically unable to prevent Republicans from confirming Kavanaugh, Booker’s announcement appears to be aimed at discrediting or otherwise casting Kavanaugh in a poor light in order to derail the confirmation. Another Democratic hopeful in 2020, Kamala Harris – who got her start in politics working underneath powerful California State Assembly speaker Willie Brown, 30 years her senior, began to browbeat Kavanaugh during Wednesday’s confirmation hearing over whether the USSC nominee had discussed the Mueller investigation with anyone – alluding to a specific person at the Kasowitz Benson Torres law firm.